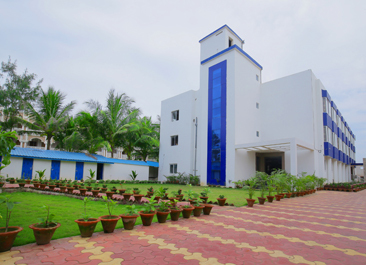 Hotel Balaji International is a luxury hotel in Puri, India’s one of the most visited tourist spots. We are known for our high quality facilities to our guests, and for the unobstructed sea view. We take pride in our dedicated staff which is always there to cater to its visitors with an earnest approach. 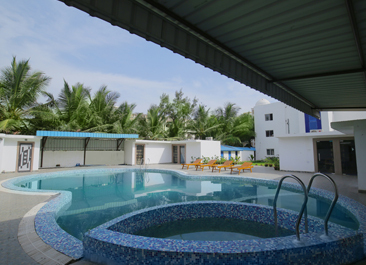 Our facilities include Spa, Swimming Pool, Conference hall, Marriage hall, Banquet and more. Our aim is to meet the requirements of our customers. We have been successful to satisfying our tourists since the year 2012. We have built our reputation by providing food and lodging at cost effective prices with best tarrif & packages. Our humble geniality will always give you a home like feeling in spite of being away from home. So, if you are looking for a budget hotel in Puri, put an end to your search with us. Family Suit, Non Ac Standard, honeymoon Deluxe, AC Classic, AC Superior Sea View etc. You can also have cost effective solution with our Non AC Standard Rooms. We provide 24 hours hot and cold running water and travel guidance. We are located in such a place from where both Bhubaneswar Airport and Puri Railway Station are easily accessible. Swargadwar, the marketplace, is just a few minute’s walk from our place. Anything from delicious seafood to rising sea waves are just a matter of raising your hand. Even, you can have the rays of sun waking you up and pleasing sips of tea at the sunset once you check in. In one word, at our place, you can have every single characteristics of Puri. So, don’t think twice to visit one of the greatest establishments of Puri. Luxurious AC Classic Double Rooms: These rooms are bright and airy. In these rooms, you can have marble flooring, marvelous balcony, wardrobe and all the basic facilities. 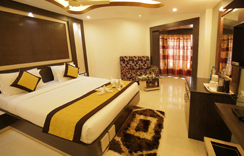 The economical non AC Standard Double Rooms: These rooms are suitable for all travelers. With these rooms, you can have the basic facilities like television sets, attached bathrooms, geysers etc. To know more about hotel reservation, enqueries and suggestion, you may contact us at our branch or call at +91 9938009737. If you are to explore the whole of the temple city, Puri, then this is the location that you have been longing for. 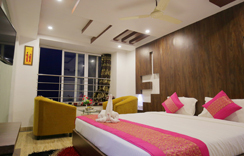 Best boutique hotel with Swimming Pool, Spa, Conference Hall, Marriage Hall, Banquet and more. Apart from LCD TV with uninterrupted cable connections, we offer a peaceful environment for relaxation. You can have here restaurants that specialise in Indian, Chinese and Continental foods. 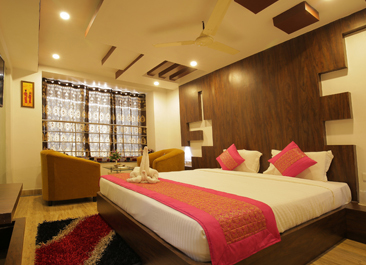 We take pride in our room services that has helped us get a place among the best hotels in Puri. We provide intercom services in all our rooms along with generator facility. We also have lift facility. 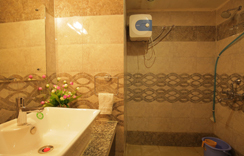 Lastly, you will be provided with a 24 hour hot and cold running water services. Balaji International brings you sea facing rooms with sea view. The rooms provide balconies to have an uninterrupted view of the sunrises and sunsets. 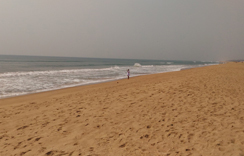 The adjoining beach of Balaji International is very clean and well maintained. 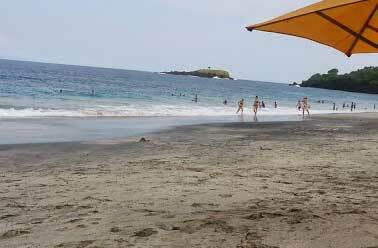 There is always a lifeguard on the beach to ensure security. All rooms of Balaji International have LCD with satellite TV connection so that you don’t miss any program that you watch in your home.